The grass dances to the dirge, the solemn farewell songs of the birds, but for this and the tears of his one true lover, all was silent. As the story goes, he had slipped on his drunkenness, missed his footing and tumbled down the stairs, rolling down till he bled out his last at the foot of the stairs. They don’t know the truth, they know how his wickedness led him to his own grave. They don’t know the truth of his heart and the sins of his one true lover. It was a cold windy night when he stepped into the house, reeking of alcohol, smoke and a woman’s perfume. Every night was the same, painful grips and blows that left hate on her pretty face. She had to run from the one she loved, she could because she was afraid he might push her, she could not sing. She was afraid he might steal her voice like he stole her freedom and dignity. She would tell herself, it wasn’t his fault but every time her friends asked why she wouldn’t take off her shades, she blamed him inside and out. So that night, the water had reached her neck, choking and forcing all her rage out. He had his hands on her neck once again, and she had a knife in her pocket. A tear for every night on the left, and tears of joy to be done from the hold. She gave him one last kiss, before letting him go. She dipped the knife in slowly, relishing the final taste of his lips that turned to victory. 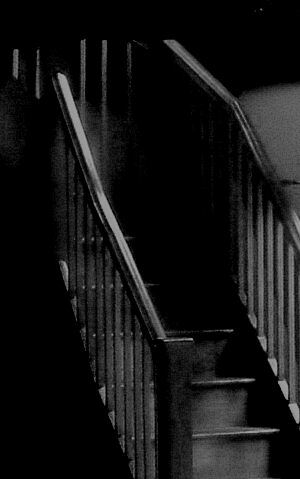 Then she let him fall, down the stairs, tumbling slowly to the end of the stairs. Right where she needed him. So while they sit around her in comfort, she feels the need to get up and dance. They don’t know that she doesn’t need their comfort, she just needs them to dance with her. They don’t know that the tears that fall are that of joy. They don’t know her heart lacks regret, but there is new life bursting through the ends of her veins, she has found strength by the grave of her one true lover. She can dance without fear of being pushed. Wanna know more about Betty? Well, she’s … Young and free Spirited.